Vardhman is top most brand of electrical insulating mat as manufacturer and suppliers in Global world today. Insulating Mat is known as Electrical Safety Mat, Anti Static Mat, Insulation Mat, and Non Conductive mat in International market. Vardhman is electrical rubber mat for electrical purpose manufacturer and suppliers since 1996. Vardhman manufacturing unit is location in Bhiwadi Rajasthan. 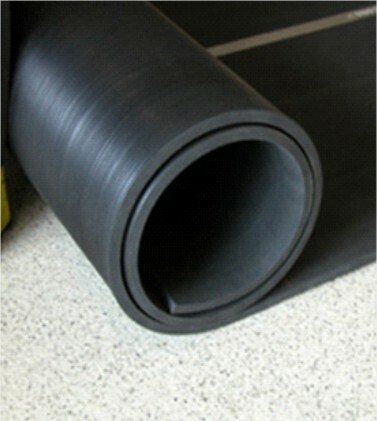 We are leading manufacturer of rubber sheet, rubber hose and High Voltage insulating Mat in India. We have different type of electrical insulating for electrical purpose like as IS Marked IS:15652:2006 Insulating Mat, IES/BS EN 61111:2009 insulating rubber matting, IS:5424 Convential type electrical rubber mat, ASTM-D-178 Insulation mat, BS-921 Insulating Mat and AS-NZS-2978:1995 insulating Mats. It used in various application of electrical safety from Electrical shock. Electrical insulating mat used in front of High Voltage electrical panel, transformer, switchboards and electrical room. Insulating mats help to protect our worker and people from eclectic shock at high voltage of electrical areas. Insulating mat is an important industrial material and highly used for safety and security purpose in small and large scale business sector. Electrical Insulating Mat for electrical purpose has different used in various applications like as power plants, high voltage panels, substation, HT and LT Labs and power transmission room. Electrical insulating mat is perfect mix of synthetic polymers. Electric mat is a type of anti static ground mat or floor mat that is made of various kinds of anti static devices especially designed to help in eliminating static electricity. Employees and professional who work under such environment that involves constant threat of electric shock, Vardhman electrical insulating mat assures safety of workmen with better and more secure infrastructure. The possibility of hazards caused by any form of leakages of current decreased. Vardhman in primary concern of electrical safety for the professional and workmen associated with electrical industry. ISI Marked IS: 15652 2006 is highly demanding electrical rubber insulating mat in India. IS 15652 is divided in three category like as Class A, Class B & Class C. IS 15652 electrical insulating mat is available in roll and sheet form with 5mm/10mm/20mm length, 900mm/1m width and 2mm, 2.5mm and 3mm thickness with various color like as Red, Black, Blue and Grey. The major specification of electrical insulating mat IS 15652 Class A is 2.0mm thickness; 3.3kv max uses voltage, 10kv AC proof voltage, 30kv dielectric strength, 10ma maximum leakages current and many more. IS 15652: 2006 Class B electrical rubber mat is 2.5mm thickness, 11kv max uses voltage, 22kv AC proof Voltage, 45KV ac Die electric voltage and 10m A Maximum leakages current. IS 15652 2006 electrical insulating mat Class C is 3.0mm thickness, 33kv max use voltage, 36KV ac proof voltage, 65kv ac die electric strength and 10m A max leakages current. Electrical insulating rubber matting IES/BS EN 61111:2009 is used in indoor and outdoor locations and mostly used in front of rear side by side of electrical panel, switchgears, transformer and high voltage workplace to provide the high safety environment for workplaces. It is divided in different class like as Class 0, Class 1, Class 2, Class 3 and Class 4. The max use of voltage for Class 0 is 1000 volt, Class 1 is 7500 volt, class 2 is 17000 volt, class C is 26500 volt and Class 4 is 36000 volt. Standard thickness of Class 0, Class 1, Class 2, Class 3 and Class 4 is receptively 3mm, 3mm, 3/6mm, 4/6mm and 4/6mm. It is available in different color like as Red, white, yellow, green and Orange. IES 61111 width is 0.9mtr, 1.0mtr, 1.2mtr, its length is 2mtr, 5mtr, 10mtr, 20mtr or as per requirement. Thickness is per requirement of class. IES 61111 surface design is anti skid texture finish. Vardhman® insulating switch board matting is considered as a Personal Protection Equipment (PPE), it is specially designed for use in front of open switchboards or high voltage equipment. The mats are very important in Power Generation, transmission and distribution sectors to prevent against electrical shock. 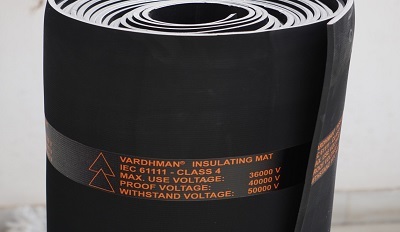 Vardhman Electrical Rubber Mat is a key manufacturer and suppliers of insulating mats. Vardhman insulating matting, also known as di electric carpets provides safety to people working close to the areas where chances of electric shock are high. 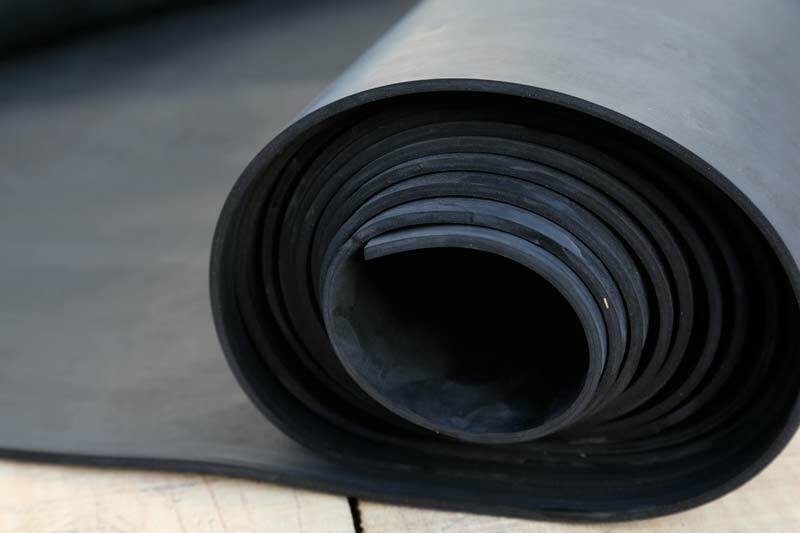 Insulating Rubber mats acts as safeguard equipment, which might happen mostly due to current leakage or short circuit. The technology used in the manufacturing of these rubber insulating mats is the most advanced technology. Electrical Insulating mats has applications both indoors and outdoors, basically wherever electrical panel is present, and mainly electrical insulating mats are placed in front and rear side of electrical panels, switchgears, transformers and other high voltage workplaces to provide the high safety environment for the workplace.Vardhman provides high voltage insulating mat for electrical purpose which are portable as well, insulating matting can be placed wherever site engineers are working. Insulating mats for electrical purpose is fully tested to specification IEC 61111. The state of art line makes the quality and finish of these insulting matting is unmatchable in the whole industry. Insulating matting from Vardhman provides safety for both AC and DC applications, and these rubber insulating mats are compliant to health and safety regulation.Insulating mats are specifically designed for areas which are high prone to electrical shocks; this insulating matting which is primarily made of rubber has di- electric properties which inhibit the flow of electric charge, thus making it the ideal insulator. Being one of the top Electrical Insulating Mats Manufacturers, Vardhman is sure of the quality provided as insulating matting like every other product manufactured at Vardhman adopts the most advanced machinery and technology to produce these rubber insulating mats. Insulating mats are manufactured is closely supervised by a fully trained team of engineers, and every workman present makes sure the quality we provide to our customers is best and fully tested according to the specifications.Vardhman electrical matting have high demand in the market and because of the quality we provide to our customers, we have experienced repeat orders and the clientele is permanent, high voltage electrical matting has huge application around the industries , both locally and internationally, from private industries to PSUs. 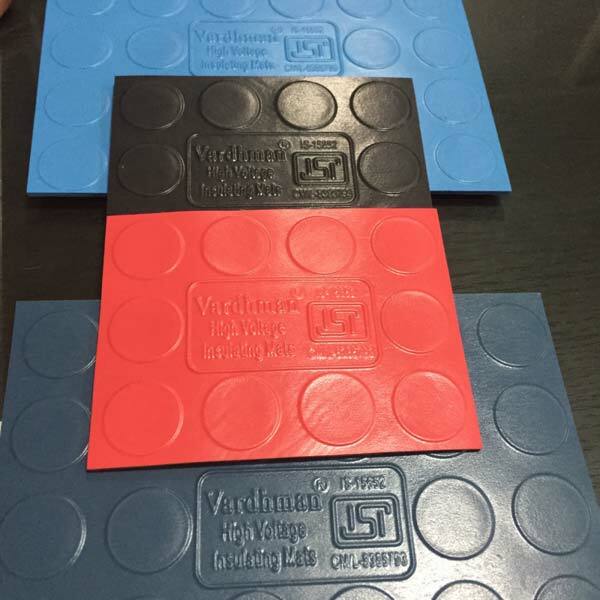 Insulating mats designed by Vardhman is resistant to acid, oil and low temperature test. These high voltage mats are also ozone, UV and weather resistant, the finish of these high voltages insulating mat is anti-slip and also tested to slip resist test. The mats are low maintenance and we make sure that no recycled rubber is used. Insulating mats are available in different width, length, thickness (as per specified class), and different colors. Vardhman is manufacturer & suppliers of electrical rubber mat in India last many decade like as Insulating Electrical Mats 1S 15652 2006, IES/BS EN 61111:2009, IS: 5254, ASTM-D-178, BS-921 and AS-NZS-2978:1995. 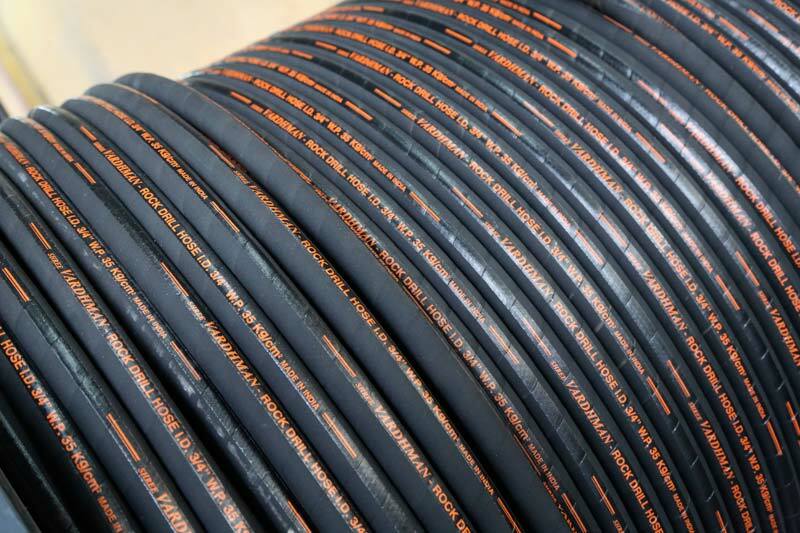 Vardhman with experience of more than 22 years provides most reliable and robust products to their customers, for any queries / detailed catalogue related to electrical matting across the industries Vardhman hoses can be contacted on info@rubberindia.in.